Continue the legacy of Nelson Mandela to achieve great things. 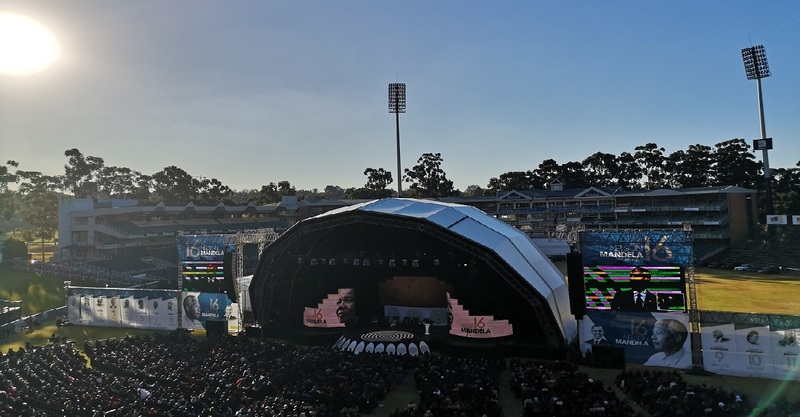 That was the main message that emerged from the 16th Nelson Mandela Annual Lecture, which was given by former United States president Barack Obama at the Wanderers Stadium on Tuesday afternoon. The lecture formed a part of the Mandela centenary celebrations. 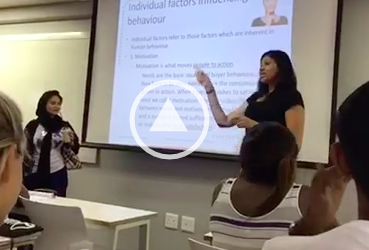 SHAAZIA EBRAHIM and FATIMA MOOSA round up five of the most important takeaways from the event. The wind was blowing cold through the Wanderers Stadium and the sun dipped in and out of sight. One thing that was strong at the lecture was Ramaphoria and Rainbowism. Huge cheers and singing accompanied President Cyril Ramaphosa as he took to the stage. Most of the speakers hailed Ramaphosa as the heir of Mandela. Graca Machel said that Mandela would have been happy to hear her calling him President Ramaphosa. And just as Obama had his “Yes, We Can” catchphrase, Ramaphosa used his stage to speak of his Thuma Mina campaign. Ramaphosa even said it’s something inspired by Mandela. From all of the crowds gathered, there was a celebration of Ramaphosa with no acknowledgement of what defined him before he became the president. Fifteen thousand people are estimated to have attended the 16th annual Nelson Mandela Lecture, according to the Nelson Mandela Foundation chief executive Sello Hatang. Despite the amount of dignitaries present and the guest of honour Obama, despite the fuss and the ceremony of this centenary we were reminded by the speakers that Mandela was just human. Former First Lady Graca Machel reminded the audience in her speech that he had on many occasions said he was not a Saint. Mandela was not arrogant. He had a sober view of himself and a profound self awareness. Like President Ramaphosa said, he was not perfect and he constantly sought his better self. In the same breath that speakers admitted that Mandela was only human, they continued to elevate him to an icon. Machel said Mandela was the father of democracy and taught us about humanity. She said Mandela represents what people aspire to be. Ramaphosa said while Mandela was of South African soil and people, he belonged to the world. Like this, speakers perpetuated Mandela worship and ignored his contested legacy. The crowds and speakers at the event all had that fever. There were endless comparisons between the pair from both of them being the first black presidents of their countries – Mandela the first black democratic president and Obama the first African American president. Ramaphosa acknowledged both Mandela and Obama being Nobel peace laureates. In his speech, Patrice Motsepe started and ended his speech saying “Welcome home” to Obama. Ramaphosa went on to say that both served as an inspiration to those working for better world and showed a binding love and commitment to empower young people. Met with a standing ovations and cries of “Yes, We Can”, Obama had the crowd in the palm of his hand from the moment the started speaking. This started when he said he was not invited, but had been ordered by Graca Machel to deliver the lecture. Given his legendary speeches while president, Obamaâ€™s charisma was on show. He was able to play the crowd. Barely speaking about Mandela, Obama used his stage to give a history lesson of South Africa and the USA and an analysis on alarming global political trends. While seemingly not acknowledging his role in perpetuating the system, Obama spoke of capitalism and racism and systems of oppression prevailing. He called out the mistakes of his predecessors without speaking of his own. He also did say that the more things change, the more things stay the same. â€œWe now stand at a crossroads,â€ Obama said. Obama said he believes In Mandela and his contemporaries vision of equality and said we have no choice but to move forward. Obama’s expected put-down of the current US President Donald Trump ran along familiar lines: he has a fear that consumes him, he has no heart, and so on. A missed opportunity, perhaps… Mandela never minced his words about his enemies. I’m often confused by those who view rainbowism with disdain. What do you guys propose we substitute in it’s place? The opposite of rainbowism is racism! Nobody wants racism back so what on earth is the problem with rainbowism being held as our highest ideal?